Showers and Bathtubs – Is the Pressure There? | Omaha, NE Real Estate Agents The Bill Black Team Video Blog Omaha, NE Real Estate Agents The Bill Black Team Video Blog: Showers and Bathtubs – Is the Pressure There? Showers and Bathtubs – Is the Pressure There? Your shower and bathtub are an important part of your new home. In fact, you probably spend a good portion in one of these places each morning. There are a few things to take into consideration before you install these two systems so they operate great for years to come and become a place of rejuvenation in your new home. The showers installed in homes today are not the showers of just a few years ago. 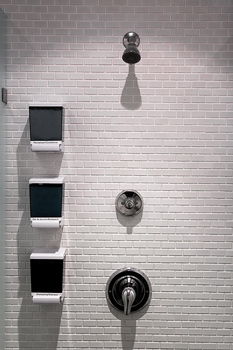 There are now a wide variety of showers that cater to many different types of needs and styles. Frequently multiple head showers are installed, the rain style that simulates natural rain are also popular, as well as the handheld shower variety. Almost anything you can dream can be installed in your shower today. While any of these showers are great for a new home, it is very important to make sure you have enough water pressure to supply the needed water so the shower you selected runs properly. There are a few things to keep in mind when you install a whirlpool bathtub in your new home. First, remember insulation is very important, particularly if you plan to finish your basement completely. The insulation keeps the temperatures from fluctuating, but it also cuts down on the noise a bathtub creates. 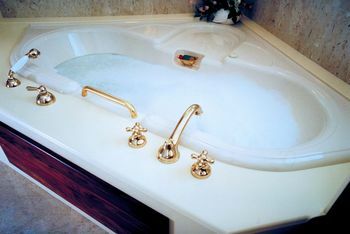 You will also want to make sure you get a larger hot water heater if you get a big whirlpool tub. These styles of tubs take a considerable amount of hot water to use and, if you don’t have a large enough hot water tank, you will quickly run out of hot water. A larger tank will allow you plenty of water for your bathtub and other appliances that need hot water around your home. You want to make sure you have the proper framing under your bathtub so it does not sink after the tub is installed. This can lead to all sorts of problems with the tub in later years. In addition, you want to make sure you put the motor in a place that is relatively easy to access. This doesn’t mean you want to leave it exposed, but put it in a place that will take minimal effort to access. This way, if the motor breaks, it can be fixed or replaced with minimal effort. If it is not in a place that’s easy to access, the entire tub may have to be removed simply to fix the problems with the motor. Showers and bathtubs are an important part of a new home. With careful consideration on several issues, you can have a high quality shower and bath system that exceeds your needs and expectations.